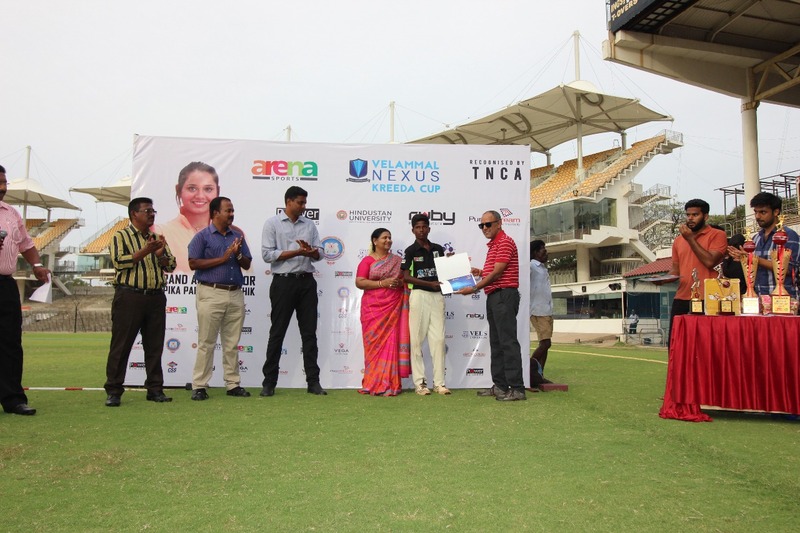 Arena Sports organized an under-17 State level inter-school T20 Cricket Tournament backed by the Tamilnadu Cricket Association (TNCA). — The Velammal Nexus Kreeda Cup. 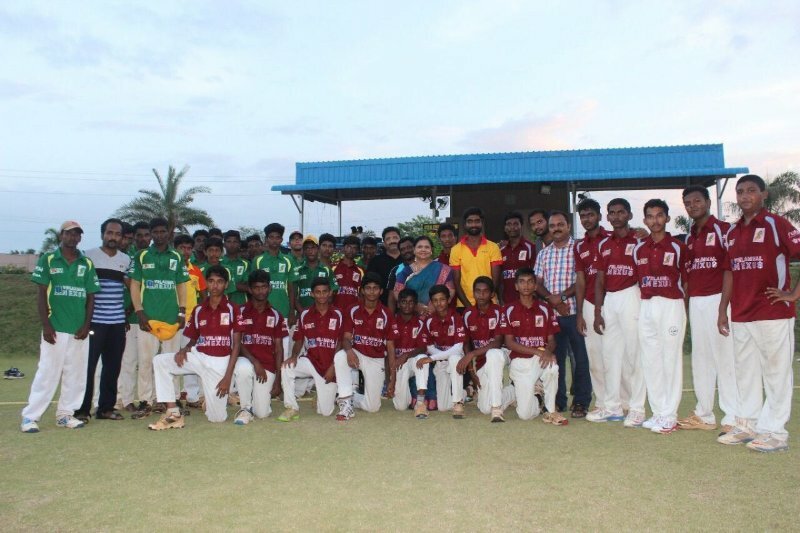 One hundred and twenty eight schools from various districts of Tamilnadu participated playing in a knockout format. The Jayendran team, trained by our masters Mr Raja and Mr Karthik reached the Semi Finals by winning the district level matches. The semi finals were held at M. A. Chidambaram Stadium, Chennai on July 10. Though we narrowly lost our match by one run, the stunning performance throughout the tournament by bowler U.Selva Harish bagged him ‘the best bowler of the series’ title. As a result he has been invited to undergo a two-week comprehensive coaching camp under Dav Whatmore, a Sri Lankan-born former Australian cricketer and current coach at the Centre for Sports Science at Sri Ramachandra University. This is a very rare and golden opportunity. 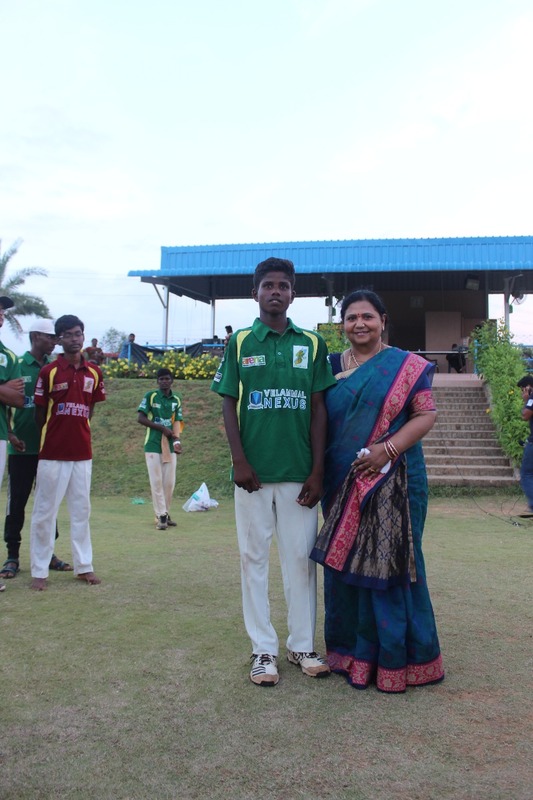 Selva Harish and his coaches were appreciated in the school assembly by our Principal Mrs Usha Raman and she wished him well for his future cricketing career.